This new book is worth checking out for all innovators and all executives whose firms depend on innovation (hint: that’s all of you!). 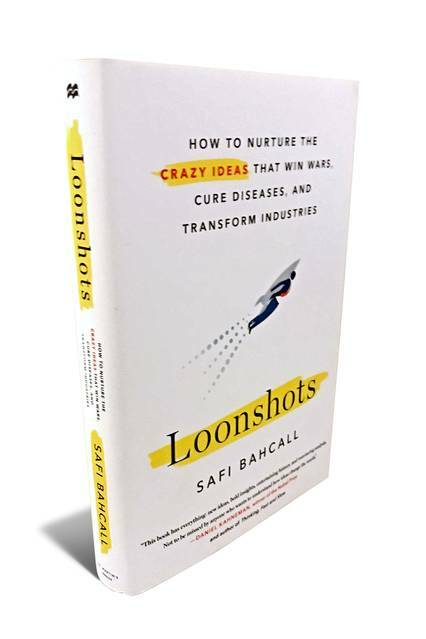 Vannevar Bush’s dilemma, argues Safi Bahcall in “Loonshots,” confronts business leaders every day: How do you deliver performance now while developing the products you’ll need in the future? The skills required to support established franchises, he argues, are profoundly different from those required to develop new ones. Management techniques such as Six Sigma, focused on efficiency and execution, tend to be bad for innovation, which is intrinsically messy and inefficient. Companies need a different approach to nurture the radically original projects, or “loonshots,” that are essential for long-term success. Rather than focus on corporate culture like so many other analysts, Mr. Bahcall, who trained as a physicist and management consultant before becoming a biotech entrepreneur, urges us to consider organizational structure. In particular, he emphasizes the need to separate creative “artists” and execution-oriented “soldiers,” allowing the members of each tribe to do what they do best. In Mr. Bahcall’s view, the principal obstacle to innovation isn’t that there are too few creative ideas—indeed, there are plenty of artists, he says. The problem is that original proposals are both discomfiting and imperfect, hence reflexively rejected before they can develop enough to prove themselves in the field. Success depends, eventually, on a kind of balancing act, one that ensures a dynamic relation between the groups: guiding the artists toward something that will have a tangible application and prodding the soldiers to pilot approaches that will inevitably need further refinement.